Yay! So it’s finally here, the last year of teenage life. Ooh, I got a really odd feeling, while Tiff and I were counting down the last few seconds of 18ness. I was afraid that it would be like any other birthday you know like ‘meh I feel the same’. But this time it was different. The first second of my new year, there was a jolt, almost electric, that surged through my mind/heart, and throughout. It was like a surge of energy, which is very weird, since the last few years, it’s felt more like a draining sensation. But this time, I felt a huge urge to jump around shout and dance! Of course that urge went unsatisfied (too tired from walking in the thunderstorm for 5 hours), but the feeling is there even now. I feel more energetic, more alive and filled with vitality than I ever have for any birthday since 12. What does this mean? What am I going to write to myself? I have no idea. For those who don’t know, I have a tradition of writing my future self a letter on every birthday; just a period of extra-self reflection. The last one was filled with fear, depression, anxiety, a tinge of hope and a lot of dread for the coming end of high school. But now, I have none of those well, actually I have all of those, but optimism rules! In this new light of seeing things, what can I say? So yep, yet another chapter has closed in my still already long long LONG book of life. What awaits me now? I do not know but I shall never lose my hope. Thank you everyone that has sustained me throughout the year, your guidance has kept me on track, and made me who I am now. Do I feel any different? Haha–just ask me how old I am, and watch me give pause. 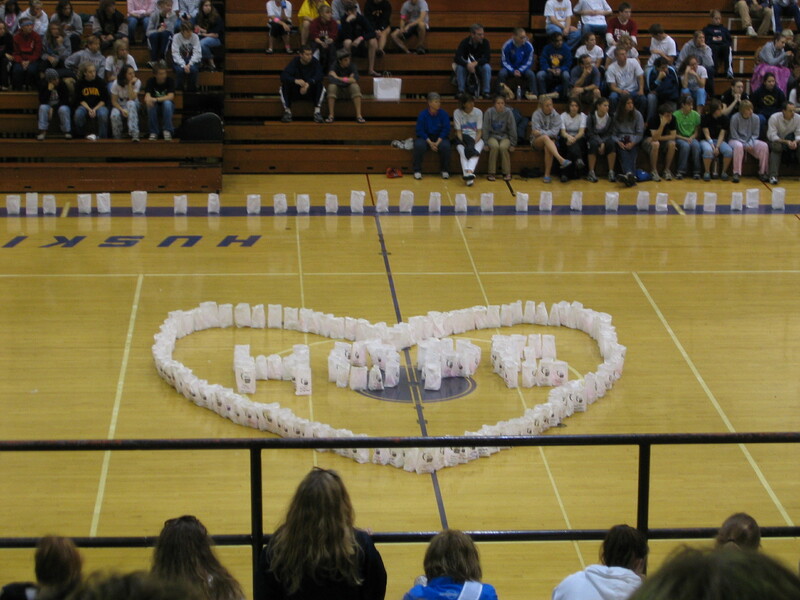 Relay for Life = walking in the rain for 5 hours! I’d love the rain, if only if it wasn’t so cold! See, quite unlike Dev, I am quite human, and I perceive coldness as a threat. But it was fun~ . Oh and Hubble IS a sad place; they’ve got a gym with 60 year old homemade bleachers, and a track that’s growing grass! Seriously, the rubber layer is so patchy that grass is growing out of it. 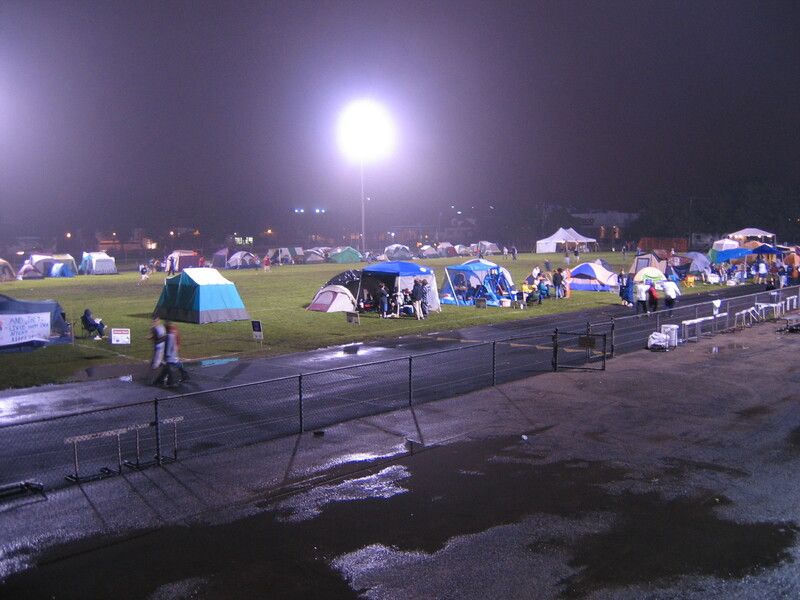 And the track–with Woodstock style tents, music, and decent lights. Since it was birthday eve, I counted down the hours till midnight–it’s actually kinda fun (especially when there’s nothign to do except walk walk and walk!) It was the first time since I turned 14 that that I was actually with someone during the crossover… the last hours of 18 and the first hours of 19, it was very comforting. I’ll definitely do the same next year! I stayed till about 2 AM, Tiff abandoned her post (like everyone else). Then it was time to go home… 1 year older. Can things truly be new, when there is so much old?